ParkerStores like Bernell Hydraulics are your one-stop supplier for every hydraulic component you may need, including Parker hydraulic motors in El Monte CA. Parker motors combine long life, stable performance in rugged conditions, and quiet operation in a compact and easy to install package. If you have any questions about Parker motors, just call or stop by our store to chat with our expert staff. 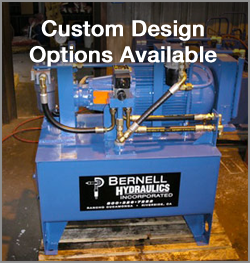 Bernell Hydraulics is your top choice for any kind of hydraulic parts, including Parker hydraulic motors in El Monte CA. Unlike parts distributors who just place orders and open boxes for you, we have the in-depth hydraulics knowledge required to actually understand your hydraulic motor and provide expert advice and service, in addition to high-quality parts. Our relationship with Parker makes it easy for us to fulfill special orders for hard-to-find parts. We can even help you integrate a Parker motor into a custom hydraulic setup by proving custom-made mounts and hose assemblies.